The Top-Shelf Way to Drink Top-Shelf Tequila! Impress family and friends with these distinctive and unique shot glasses. 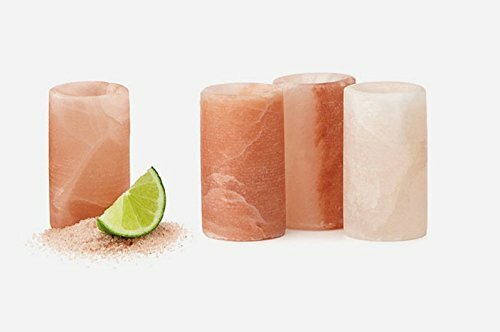 Carved from solid Himalayan pink salt, they offer the beautiful appearance of finely-veined, translucent rose quartz, adding an air of elegance to any occasion. Whether throwing a party, or just having a simple get-together, you will want a set of these included in the festivities! 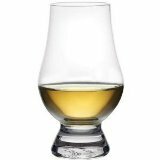 Salt is a long-lasting, naturally anti-bacterial mineral, so these glasses require just a little care to become your favorite party starter for years to come... simply wipe dry after use and store in a dry place. Do not leave liquids in glasses, do not immerse in water. Prolonged exposure to liquids will erode glasses over time. Not dishwasher safe. Himalayan pink salt comes from a low-lying region situated in the foothills of the Himalayas. Crystalized from sea water trapped in the mountains for millions of years, this salt has been protected from both air and water pollution 2,000 feet below the earth's surface. It is, by far, the highest quality and purest salt in the world. Spice Up Your Next Get-Together with these Extraordinary Shot Glasses! Order Now! 100% Satisfaction Guaranteed! The Home Gourmet... Where Food, Family & Friends Come Together!